Intervention: including conservation and enhancement projects, such as building restoration projects and area regeneration programmes. These different areas are inter-dependent and overlap. 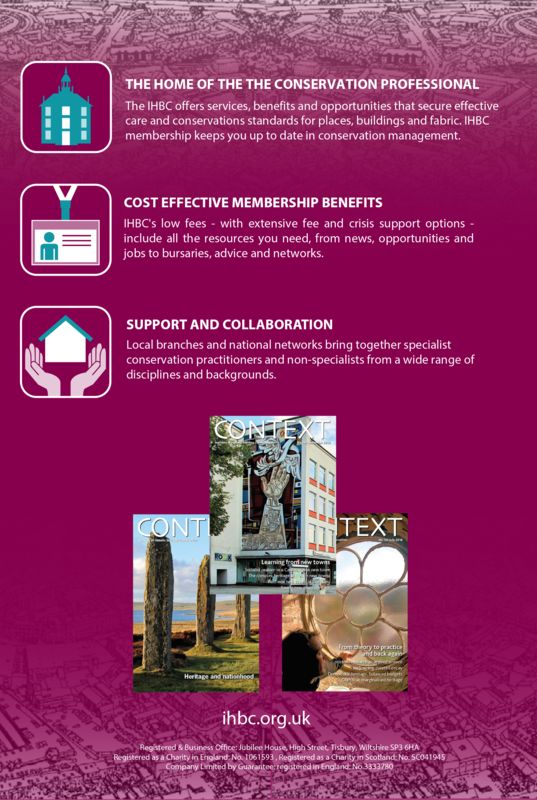 The IHBC and our members help integrate these activities, seeing this as the most effective strategy for securing sustainable conservation of the historic environment. 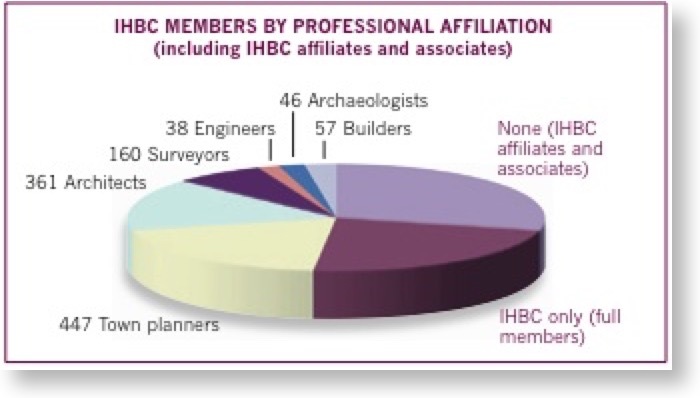 Prospective members, regardless of skills, are strongly encouraged to secure membership as an Affiliate Member of the IHBC as a first step to full membership. Affiliate membership is an inclusive membership category. It is easy to subscribe to, and is structured to allow us to help everyone through the more substantial process of becoming a Full Member. As Affiliate status imposes a duty to observe our Code of Conduct while encouraging CPD, it is the perfect preparation for Full Members. As a membership class, Affiliate Member can apply equally well to individuals early in their career or to experienced professionals interested in exploring the benefits of full membership of the IHBC. Subscriptions: The annual subscription rate for all classes of membership for 2019-20 is £124. Concessions: There is a concessionary rate of £62 for those on lower incomes (salary below £17,500; proof required & renewed annually). Hardship support: Members and prospective members in need of additional support for their subscriptions may apply for hardship support. For details please follow 'Fee Support' link. Corporate: There is no corporate membership of the IHBC. Context is made available to corporate bodies (libraries; educational bodies etc) at a corporate subscription rate, including postage of: United Kingdom £60; Elsewhere £90. Subscribers: Subscribers may support the charitable work of the IHBC and receive the member publications of the IHBC, including Context and the IHBC's annual review, the IHBC Yearbook, on payment of an annual subscription of £108. Subscribers are strongly encouraged to sign up to Gift Aid to support the IHBC's charitable activities. No concessionary rates are available to subscribers. To join as a subscriber please contact feesupport@ihbc.org.uk.